More saltwater in the Everglades could make climate change worse, a new Florida International University study found. 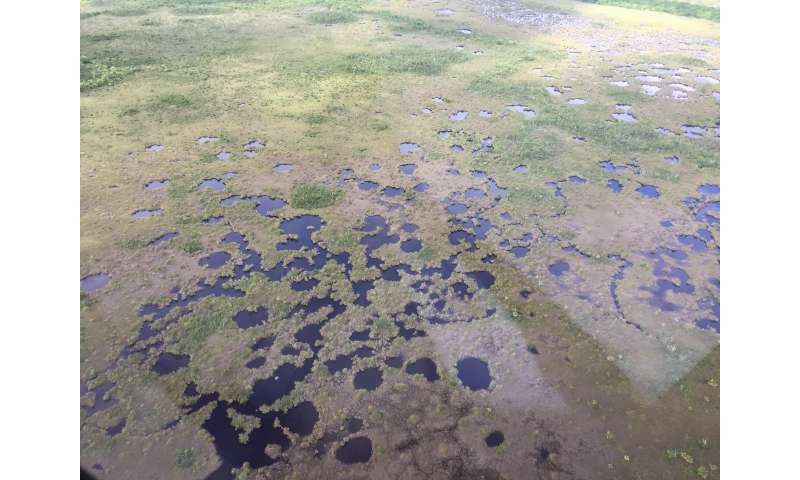 Some parts of the Everglades can release up to three times the amount of carbon dioxide when salinity levels are high and water levels are low, according to FIU scientists . Peat soil in the Florida Everglades can trap harmful carbon dioxide when water levels are high. But intruding saltwater could cause peat soil to break down and release large amounts of carbon. "We were surprised to see a large amount of carbon loss when only a modest amount of saltwater intruded the dry marsh. We didn't see the same result when the same modest amount of saltwater intruded the wet marsh," said Ben Wilson, author of the study, who conducted the research as a biology Ph.D. student at FIU. "The carbon that is potentially being lost from the Everglades during these events is comparable to the carbon dioxide emitted by 35,000 cars annually. It shows even if salinity increases gradually with sea level rise, as long as the coastal Everglades receives more freshwater, some of its negative impacts can be mitigated." Those negative impacts are already being seen. Sixty-five percent of plant roots in fresh water marshes and 72 percent of roots in brackish water marshes died because of increased salinity levels brought on by sea level rise, according to the study. "Without management interventions like delivery of more water to help mitigate the peat collapse, some areas of the coastal Everglades will be vulnerable as saltwater moves in with sea level rise," said Tiffany Troxler, director of science in FIU's Sea Level Solutions Center and lead primary investigator of the study. "We are collaborating with management agencies on ways in which results can be used in efforts to improve water delivery to the coastal Everglades." The study was funded by the Florida Sea Grant, including cooperative agreements with Everglades National Park, the Everglades Foundation and the South Florida Water Management District. The scientists also relied on funding and data from the Florida Coastal Everglades Long Term Ecological Research (FCE-LTER) program. Housed at FIU and funded by the National Science Foundation, the FCE-LTER program leads some of the largest and longest studies on how water, people and climate impact the Everglades. The study was recently published in Ecological Applications. Freshwater flow affects Everglades fish, but how?